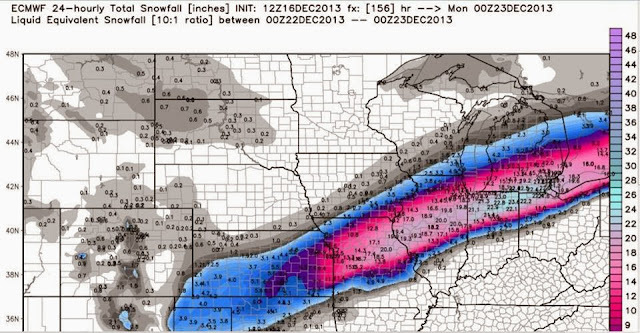 So much for the ECMWF always being the "best" model with winter storms (or otherwise). When I saw these posted early last week, my first thought was that even the surface pressure pattern of the ECMWF did not support near so far south a snowfall axis. The thermal and pressure patterns seemed inconsistent, or at least highly unusual. Of course as I recall at that time the GFS hadn't a clue about cyclogenesis. Lastly..in the early days of NWP one could count on subsequent forecasts of approaching cyclogenesis to track further and further to the left. While not as predominant as was once the case, my impression is that it's still much more common than later forecasts of cyclogenesis that actually occurs tracking to the right. Hello Professor, my name is Scott Sabol, morning meteorologist at WJW FOX8 in Cleveland. You made excellent points here. This is why I personally don't harp on trying to pin down specifics that far out. The general public doesn't differentiate between a 12 hour forecast and a 240 hour trend via the EURO or the GFS. Viewers/the public will hold their hat on that 240 hr map as Gospel even if after the event passes you attempt to rationalize your reasons for posting it. I write about the psychology of why the general public can't handle weather forecasts. I saw these as well. However, if you looked at the RAW model output from the EURO during these runs the areas that were "forecast" to get heavy snow had temps. both at 2m and 850mb above freezing(well above it in some cases. So it came down to, as you said, interrogating it. This was a great post and something the field of meteorology needs to hear! That was a well-written post mortem of this event. I agree completely. I think so much of a forecast depends on subtle differences, such as are found in winter. There was a threat of a large storm (and there was.) 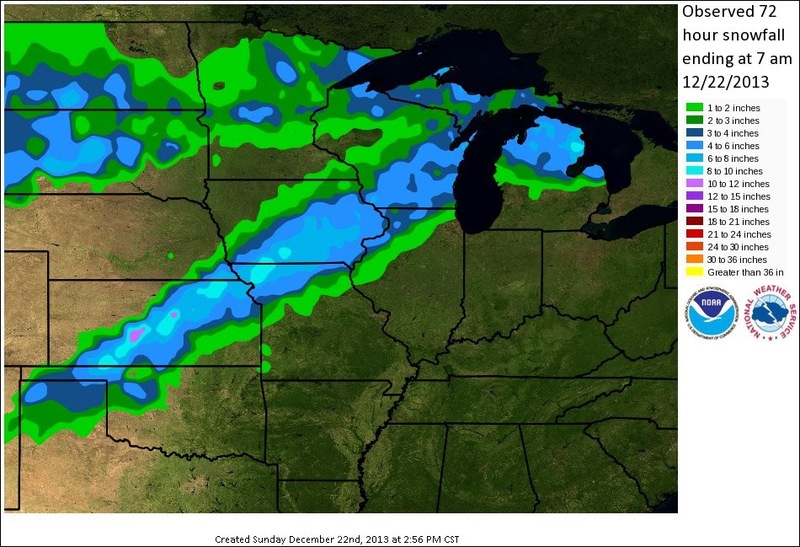 The storm was associated with large QPF which there was. What trended away from earlier progs was the lack of cold air in place, thus keeping much of the precip liquid. And it seemed clear to me that the difference from snow to rain in this event was a matter of small forecast error. I agree with Victor in the probabilistic understanding. But I also would say that there are some parts of the event that are more predictable than others. And it varies from case to case. Experience matters. 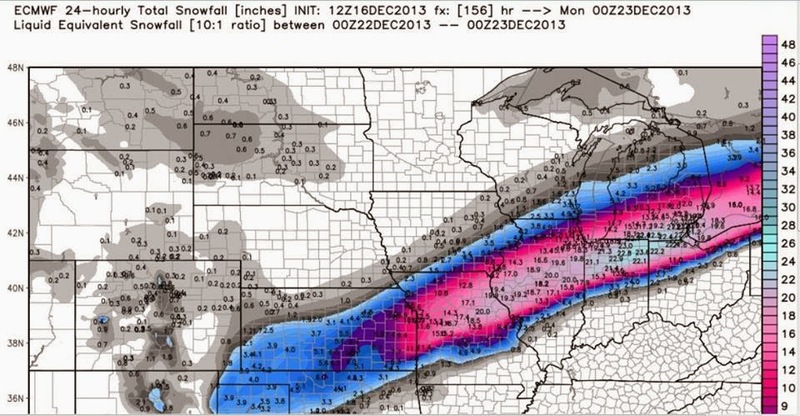 So keep the posts coming, but put caveats on the forecast. What could go wrong? What is largely unknowable? *What* are the uncertainties? Follow a reputable source like Tom Skilling or the NWS on Facebook or otherwise. Model data now is often quite accurate, even a few days in advance, and these graphics pop up to give an indication of what may happen. Tom Skilling used graphics like this (though I can't remember how far out the forecast was) to identify the massive snowstorms of 1999 and 2011 days before they hit Chicago. I also have to say, in my experience as a meteorologist observing models, that the models this time just happened to be way off, even very close to when the snow/rain/ice started falling. I think these graphics can add some interesting information and speculation if you have the right disclaimer. Just one example of at least being informed on the possibilities of what could happen, if you have the right context. Worst of all, 95% of these people aren't even meteorologists! They are weekend warriors who couldn't make it through the program, got a subscription to weatherbell, and now make the rest of us look bad.